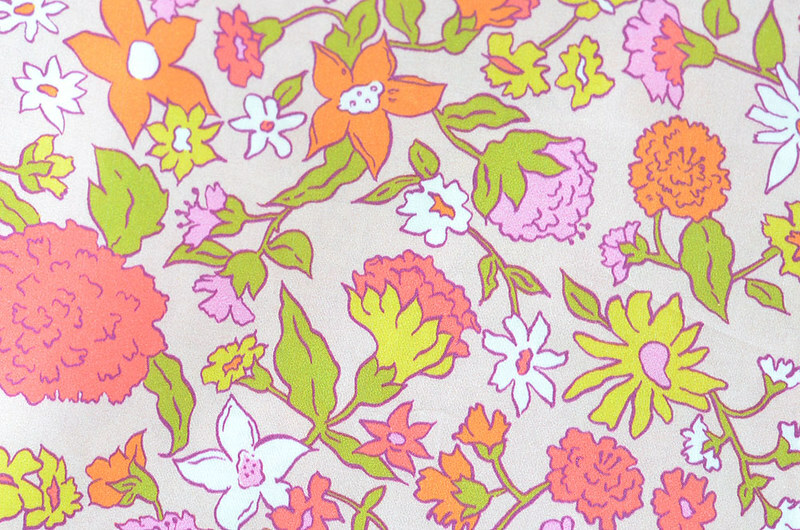 I'm excited to share my latest textile design, a bright and bold floral pattern featuring vintage-inspired blossoms scattered on a peach background. 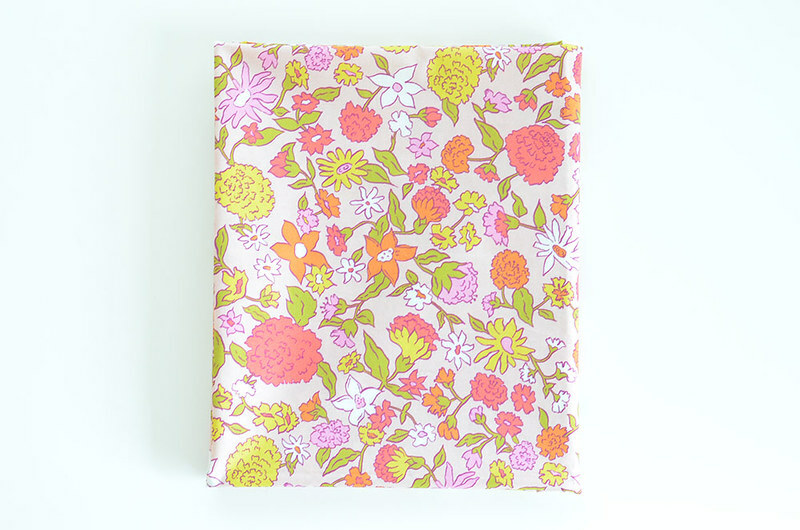 Pictured here is one yard printed on cotton lawn ultra. 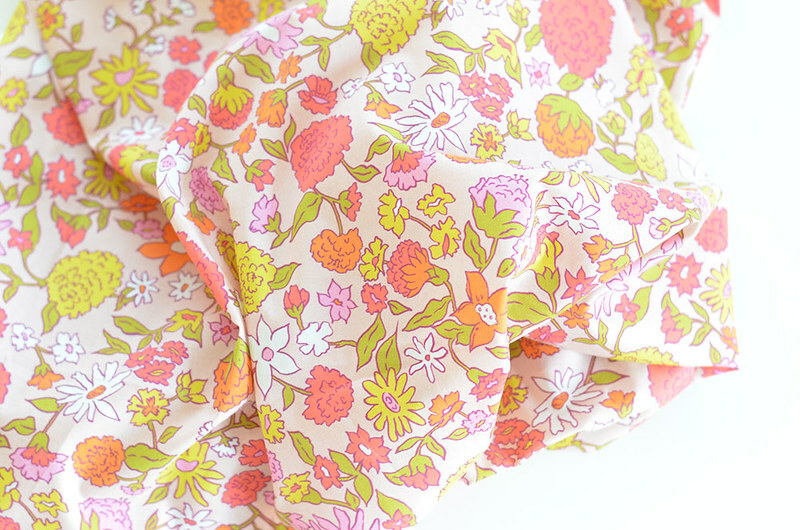 The lines are crisp and the fabric is delightfully soft and lightweight. I can't wait to sew with it! 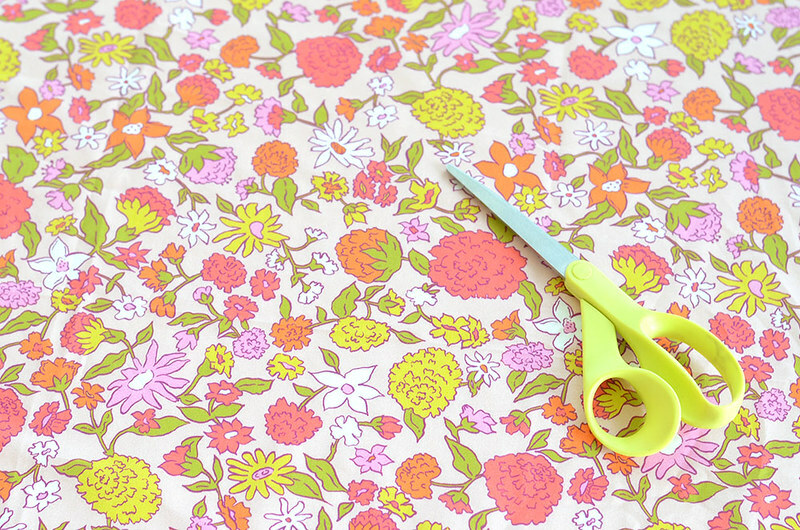 Now if I can just decide what to make… This fabric is now available in my Spoonflower shop! Oh my gosh, this is adorable!! !